LOS ANGELES (Reuters) - Of all the athlete trading cards on the U.S. market today, the most valuable is not that of baseball great Barry Bonds or basketball star Shaquille O'Neal but noted skier and outdoorsman Karol Wojtyla -- the late Pope John Paul II. Beckett Media, whose pricing guides are the acknowledged arbiters of value for collectible trading cards, said on Tuesday a limited-edition Pope John Paul II from the 2005 World Treasures line of card maker Topps has sold for $8,100. The Topps series includes other historical figures like Czar Paul I and King Frederick the Great, though their cards are trading for around $3,000. All the cards in the series have etchings of the figures' autographs. 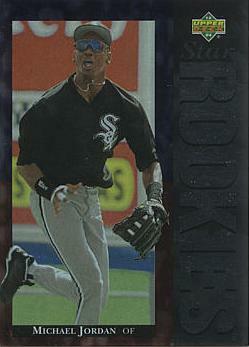 In comparison, Beckett said, regular cards depicting Barry Bonds, who is contending for baseball's all-time home run record, have never sold for more than $1,200. The market for John Paul collectibles heated up dramatically after his early-April death. Thousands of people queued up last week in Vatican City for the last run of euro coins bearing the late pontiff's image. Throw in a Chris Sabo, and you've got yourself a deal! How about a GWB card? Might need a Mike Aldrete or a Jerome Walton rookie thrown in to really seal the deal though. I'll raise you a GB Sr. Desert Storm card and throw in a Saddam Hussein to sweeten the deal. How about a Sam Bowie rookie card instead? Wow, like 2 years ago my sister brough back a shitload of Pope John Paul II bottle openers with his likeness on a coin in the middle, or Popeners as we call them. I bet mine is worth like $10-12 now! It's all about the Mike Greenwell RC + Kevin Maas RC for JP2 RC trade. Ha ha, look at those skinny arms. I was actually looking for a pic of that one, but couldn't find it. It's also of note that the high bidder did not pay, and the seller currently has it for a BIN of $6,995. where's his 85 topps olympic card? Yeah, I mean he hit only what, 49 homers his rookie season? 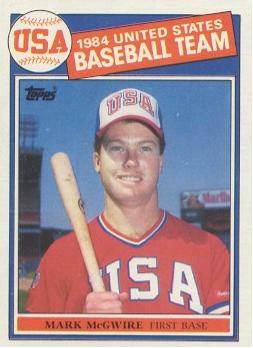 Skinny arms or not, McGwire could hit 'em...of course poppin' and shootin' helped him a bit more. Oh man...haven't heard that name in years! So is this thread OT yet? I wasn't even gonna mention Oddibe McDowell. 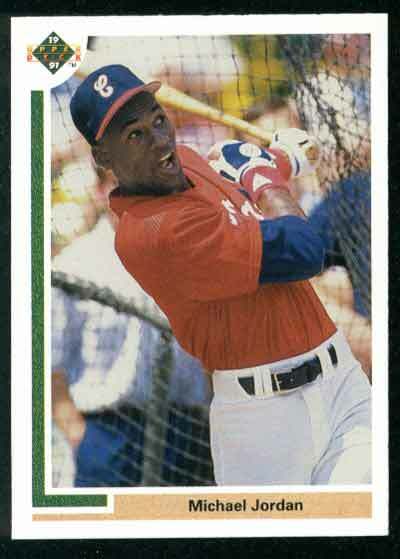 I wanted to post a picture of the '89 Billy Ripken Fleer card, but I couldn't find one. If you were collecting baseball cards back then, you know what I'm talking about. And the story for those that don't know and actually care.